The Recording Academy has announced 25 new musical works that will be added to the Grammy Hall of Fame this year. Among those included are from the categories of country blues, Piedmont blues, blues rock, folk, and jazz. 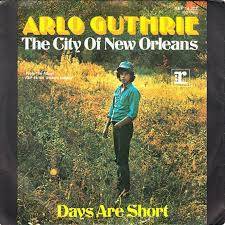 Written and originally recorded by famed folk songster, Steve Goodman, it is a descriptive ditty about a train ride from Chicago to New Orleans on the Illinois Central Line. This iconic rail line was one of the major arteries that took African Americans North to the Windy City during the Great Migration of the 1920s. Several bluesmen undoubtedly traveled those rails, although probably not on the well known, “Panama Limited,” which was first-class only north of Memphis. Guthrie’s version of the song, was recorded in 1972 and became a hit, reaching #4 on Billboard Magazine‘s Easy Listening charts. Legend has it that Goodman approached Guthrie, asking to play him the song. Guthrie agreed, if Goodman bought him a beer. Guthrie would listen as long as the beer lasted, but obviously liked what he heard. A 1985 cover of the song by Willie Nelson, garnered Goodman a posthumous Grammy Award in 1985. 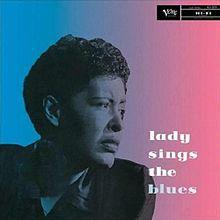 This 1956 album would be the last by Lady Day on the Clef Records label. It was recorded during three sessions in 1954 and 1956 and was released simultaneously with her autobiography of the same name. 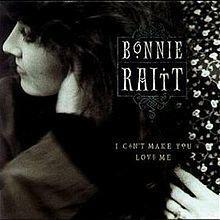 Although her voice had deteriorated somewhat by this time, the album is regarded as one of her crowning achievements. She lays bare her troubled life in songs such as, “Strange Fruit,” which she originally recorded 17 years earlier, “God Bless the Child,” which was inspired by an argument with her mother over money, and, of course, the title track, co-written by jazz pianist, Herbie Nichols. Ghostwritten by the late newspaperman, William Dufty, her autobiography would be made into an Academy Award nominated film in 1972, with Diana Ross in the lead role. 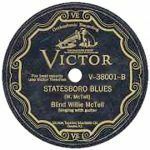 The Piedmont blues classic, “Statesboro Blues,” was first recorded by McTell for the Victor label in Atlanta, on October 17th, 1928. Although a native of Thomson, Georgia, McTell often described Statesboro as, “my real home.” The original release was on the B-side of, “Three Women Blues,” and has been included on several compilations of McTell’s work. 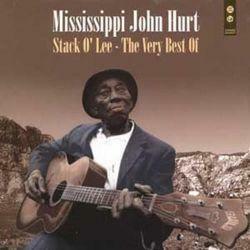 In 2005, the Atlanta Journal-Constitution ranked “Statesboro Blues” number 57 on its list of “100 Songs of the South”. Taj Mahal recorded a version on his eponymous debut album in 1968, and the Allman Brothers Band made it even more famous with their live cover on 1971’s At Fillmore East. It was Mahal’s version of this song that inspired Duane Allman to begin playing slide guitar. The historical “Stagger Lee” was Lee Shelton, an African-American pimp living in St. Louis, Missouri in the late 19th century. On Christmas night in 1895, Shelton and his acquaintance William “Billy” Lyons were drinking in the Bill Curtis Saloon. Eventually, the two men got into a dispute, during which Lyons took Shelton’s Stetson hat. Subsequently, Shelton shot Lyons, recovered his hat, and left. The crime quickly became the stuff of legend and songs. Originally recorded by Waring’s Pennsylvanians as “Stack O’Lee Blues,” in 1923, Mississippi John Hurt’s 1928 version is considered the definitive one. Hurt recorded the song as part of his second ever recording session, on December 28th, 1928 in New York City. With just his guitar and vocals, it was released on the Okeh label. The famous murder ballad has also been recorded by artists including Cab Calloway, Archibald, James Brown, Ike & Tina Turner, Tommy Roe, and the Fabulous Thunderbirds.